Best Tequila for Margaritas. Is Price really so Important? In a perfect world, the best tequila for margaritas would be the one that tastes best by itself. Enjoying those kinds of margaritas on a consistent basis, however, is outside most of our budgets. When searching for the best tequila for margaritas, one key is to find the brand that tastes the best at an affordable price. There are other considerations for margarita drinkers. While we would all agree that smoothness is important, the taste and character of tequila are subjective things that may or may not add to the overall enjoyment of a margarita. It might be that the best sipping tequila in the world has qualities and characteristics that are too bold to make the perfect margarita. It is also likely that the unique taste of world class tequilas is completely lost and unappreciated. Before I provide my Best Tequila for Margaritas list, I would like to provide some general criteria. Smoothness – A smooth tasting tequila obviously makes a smooth tasting Margarita. Price – For the vast majority of us, it doesn’t make sense to use expensive sipping tequilas for Margaritas. Neutrality – This category sort of works hand-in-hand with price. Very pricey tequila full of bold character and flavor will either be underappreciated or over-shadow the margarita mix. Speaking of margarita mix, I believe the simpler, the better. I will share with you my own recipe. Even an affordable and good tequila will go to waste in a bad mix. I am not a fan of the overly sweet or sour cook-aid type mixes that most restaurants serve. I use three simple ingredients: 1 part fresh-squeezed lime juice, 2 parts tequila, and a splash of Contreau or Stirrings triple sec. I like to shake the ingredients vigorously for about 30-40 seconds and serve up (or neat) in a glass with salt around the rim. One thing to beware of is that a bad lime can spoil everything. Good, fresh limes are usually shinier on the outside with bright green color and have a thick skin when they are sliced. Getting a good lime can be tricky, but it is well worth taking the time to find a grocer where they are consistently good. A sour lime will pretty much drown out everything that is good about the drink, including the tequila. I’ve decided to use a few of the familiar tequilas that I’ve tried and rated here on Product Review Ratings. Each tequila is rated in each criteria on a scale of 1 – 10. Of my two favorites, I will warn you that the Rancho Alegre does give me a headache. I didn’t think it would be fair to use that criteria in my ratings since so far, I am the only one I know that complains of this unwelcome phenomenon. I have not done nearly enough research to make this a thorough review, but hopefully these ratings on the best tequila for margaritas will lead you in the right direction. Compared straight-up to Olmeca Altos Tequila, both my wife and I preferred El Ultimo De Agave in a blind, taste-test. I was really surprised. Both are smooth tequilas that mix well for margaritas, but the El Ultimo Agave just seems to have more flavor and character. I noticed hints of honey, fig, banana, butter, orange and ginger. The Olmeca Altos just doesn’t offer as much flavor. For the money, I’d rather pay a little extra for the El Ultimo Agave tequila. Other tequila websites seem to agree with my opinion on El Ultimo Agave. Users and tequila critic snobs alike, have rated it very highly. I did not have the Reposado version of Rancho Alegre, but while I was in the mood, I did do another comparison. A 1.75 bottle of Rancho Alegre is only around $21.00 and for taste-alone, remains the best deal there is. 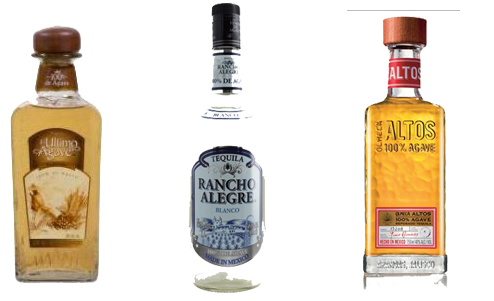 In another blind taste-test, my wife and I much preferred the cheaper Rancho Alegre over the Olmeca Altos tequila and I suspect it would give the El Ultimo Agave a run for its money if I had the same, two types to compare. However, this is a moot point for me. It has been painfully proven to me time and time again, that Rancho Alegre gives me a headache. My wife doesn’t have this problem, so it could just be me. If you haven’t tried Rancho Alegre, I encourage you to try it. Once the secret gets out on a good, cheap tequila, they become much easier to find, though the price tends to rise accordingly. At any rate, I will continue to try bargain-priced, 100% agave tequilas as I find them. The question is where can you find it? Here is where things get tricky. 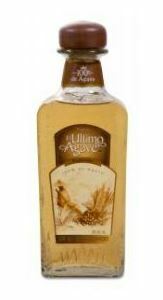 El Ultimo Agave Tequila is listed as an uncommon tequila on the UndertheLabel website. I located El Ultimo Agave at Sams Warehouse Liquor in Westminster, Colorado. Though Sams is one of my favorite liquor stores, they are not in the most convenient location for me. Sams had an excellent selection of tequilas and trying a new one for the first time is a difficult choice. It turns out I made the right choice after fondling bottle after bottle of unknown tequila brands. The problem is, I have not been able to find El Ultimo Agave in any of the other liquor stores near my local neighborhood. If you can find El Ultimo Agave tequila at your local liquor store, I highly recommend it. 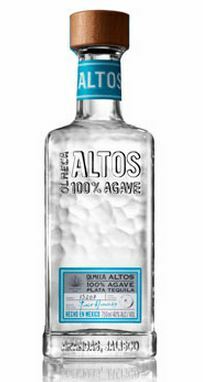 If you don’t want to pay good money for good tequila, you will want to read this full, review on Olmeca Altos Tequila. Before I get into the specifics of the brand and its qualities, I want to make a point about ambiance. Let’s face it, when it comes to enjoying a good tequila, atmosphere makes a huge difference. I think the reason many of us are so fond of Tequila in the first place is that the taste reminds us of our most recent vacation where we once enjoyed refreshing, margaritas near a crystal clear swimming pool or white-sand beach in the middle of an ordinary work week in the middle of an ordinary January day. During those cold winter months, if we’re lucky enough to make that trip to Cancun, Puerto Vallarta, Cozumel or the many other dozens of beautiful vacation spots of warmth and sunshine, the taste of a fresh, lime-squeezed margarita will leave us with an indelible memory of relaxation and care-free paradise. Obviously, even the best tasting bottle of tequila in the world won’t replace the enjoyment we get from a week of paradise, but it goes a long way in improving our attitude, even if it is only for the memories. So, for this reason, I have to be honest by admitting that my most recent review of Olmeca Altos tequila is a bit influenced by the beautiful weather and surroundings in which it was enjoyed. El Charro Tequila is an extremely affordable Reposado made from 100% agave nectar. I don’t know about you, but when I find a 750 ML bottle of 100% Agava tequila for under $15.00, I buy it right off the shelf with no questions asked. The El Charro Reposado was only $13.98 at my local, Westminster Total Beverage Liquor store, which is a fabulous place, by the way, for discovering affordable brands of tequila. There were a couple of other choices I considered before I spotted the El Charro tequila which was labeled, 100% PURO DE AGAVE. One of them happened to be my wife’s previous favorite tequila, Epsolon. Epsolon Reposado tequila normally sells for around $20.00, but it was only $17.98 at Westminster Beverage and the shelf was adorned with a very impressive rating of 92 points. I agree with my wife that Epsolon is a decent Tequila for the price, but I’m not sure I agree with the expert rating. Perhaps, it is good marketing and public relations to get these ratings from the so-called tequila snobs. The shelf holding the El Charro Tequila came with no such rating label, but at $14.00, there is very little risk in trying it. Many times before, I’ve bought inexpensive, 100% Pure Agave tequila and have been very impressed with it. Tres Alegres Blanco and Rancho Alegre (both Silver and Reposado) are a couple of great bargain-priced tequilas that come to mind. These tequilas became a couple of my staple brands for making margaritas. Only two problems: The liquor store stopped carrying the Tres Alegres and I’ve been able to find it elsewhere at an equally low price. And, the Rancho Allegre gave me a headache for some odd reason. So far, no signs of a headache from El Charro, but is it any good?